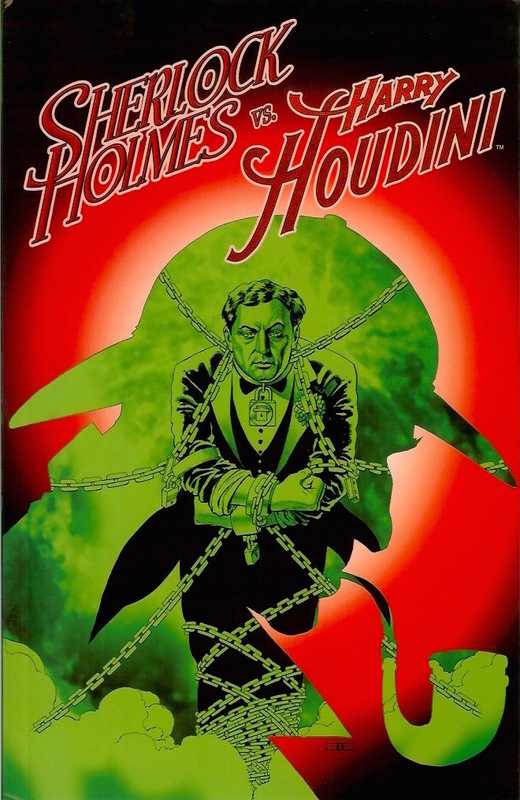 Dynamite Comics teams Holmes and Houdini in this graphic novel by Anthony Del Col and Conor McCreery with artwork by Carlos Furuzono. When the world's most famous detective meets the world's most famous magician… death is the case! Escape artist Harry Houdini’s London tour comes under attack from a mysterious figure that controls the powers of spirits. The goal? To destroy Houdini’s career and kill anyone who gets in the way. Houdini reluctantly teams with sleuth Sherlock Holmes, who is locked in a fight of his own. Can the two rise above their own battles to overcome a seemingly impossible force? Written by Anthony Del Col and Conor McCreery, the Harvey Award-nominated creators of Kill Shakespeare, Sherlock Holmes vs Harry Houdini is a witty adventure full of magic, spirits, technology and deduction. It’s a mystery you won’t be able to escape.